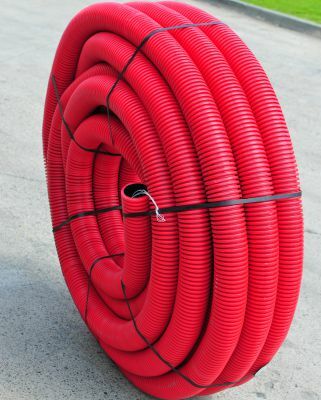 We produce corrugated double-walled high density pipe (HDPE) ELCOR 450N for electric cable protection and underground telecommunication networks, with exterior diameters from 40mm to 200mm. The pipes are produced according to SR EN 61386-1 and ENEL DS 4247 RO norms with red/grey/black exterior wall and black interior wall. Other colours are available on request. 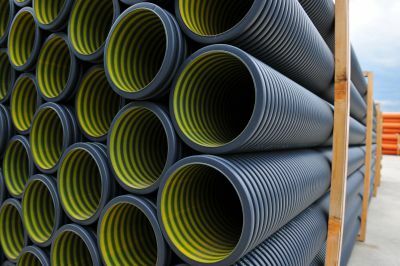 We produce corrugated double-walled high density pipe (HDPE) ELCOR 750N for electric cable protection and underground telecommunication networks, with exterior diameters from 40mm to 200mm. The pipes are produced according to SR EN 61386-1 and ENEL DS 4247 RO norms with red/grey/black exterior wall and black interior wall. Other colours are available on request. In addition to ELCOR 450N, ELCOR750N has better mechanical proprieties, with a compression resistance of 750N / m2.